Nice wallpapers sized pics of Candy White. 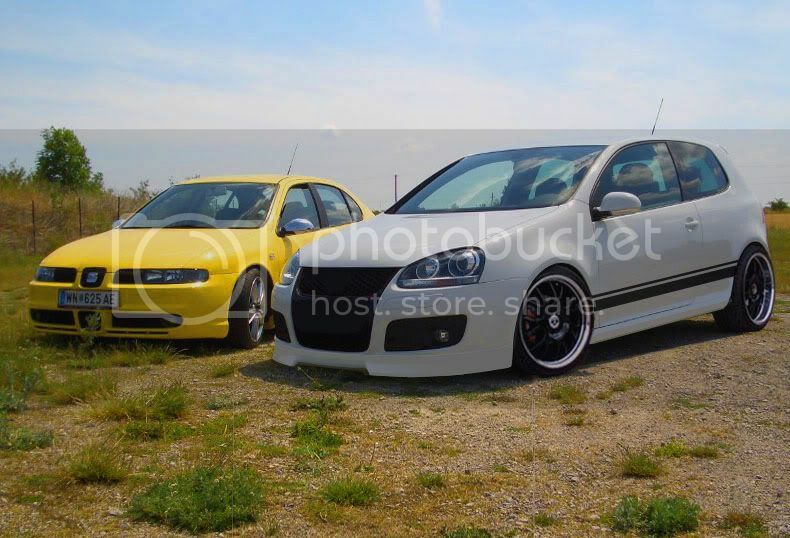 Feel free to add pics of your own White Golf MKV! Damm! I can't believe the rear of this car can have that much wheel dish! Well actually it can't. All of those were done with photoshop and I've got a thing for deep dish so I put them on there. Without some serious arch pulling youre not gonna get too much dish on there at all. 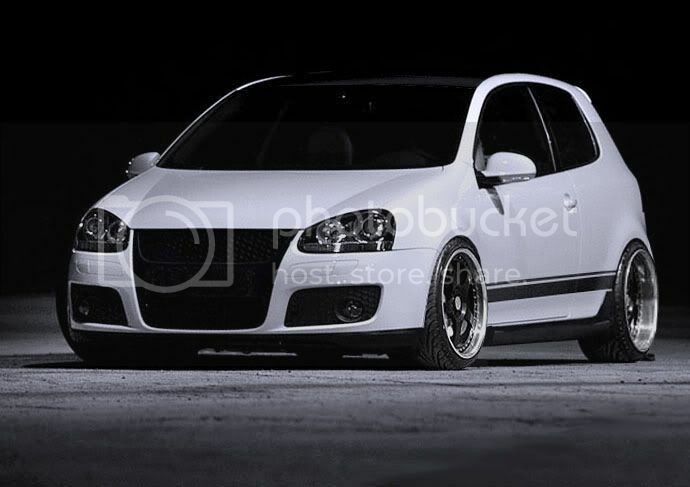 Good job had me fooled :laugh: Car does look hot with those deep dish wheels. Ahh My future car and color. 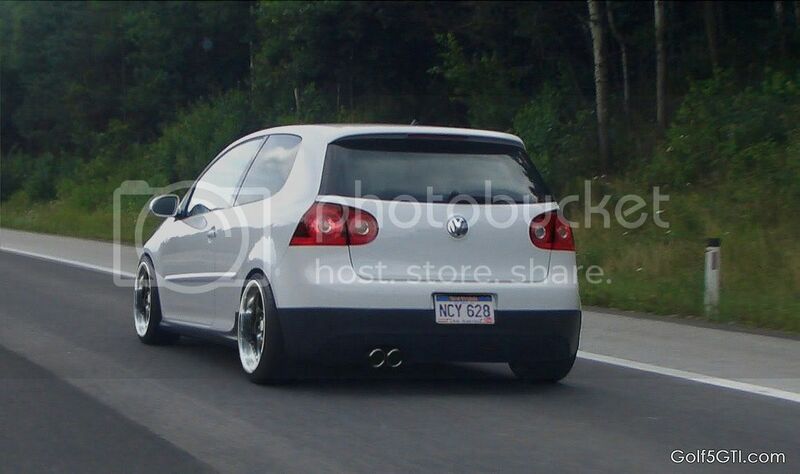 The Golf just looks so damm good in this color for whatever reason. Thanks for all the nice pphotos. 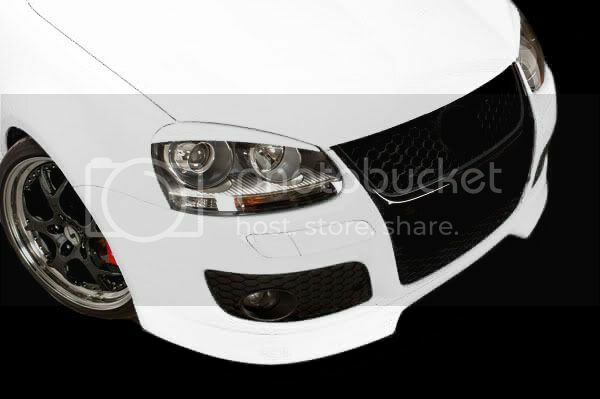 Looks like the votex oem (stock) front lip on this car, except the bottom piece is painted black. That's actually just the stock lip. Yup, you're right. The stock lip and aerokit is also known as the "Votex" kit.